Isuzu India has announced a price hike on its commercial vehicles by two per cent. The hike will be effective from April 1, 2019. The manufacturer has stated that the hike is a result of an increased input and distribution cost. Currently, Isuzu has four vehicles in its portfolio - One SUV, a lifestyle pick-up vehicle and two commercial pick-ups. 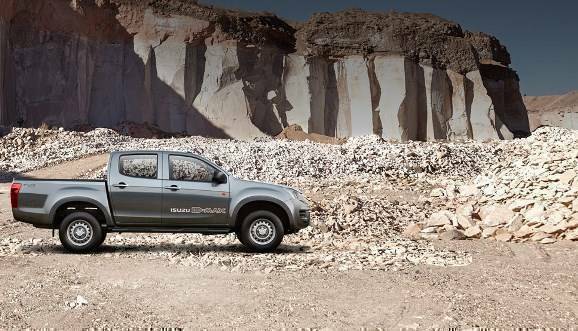 The Isuzu D-Max single cabin and the dual cabin are currently priced at Rs 8.88 lakh and Rs 7.4 lakh ex-showroom Delhi. The two commercial pickups are powered by a 2.5-litre diesel engine which churns out 79PS and 176 Nm of torque. The engine comes mated to a five-speed manual gearbox. The dual cabin version gets a 24 sq ft cargo bed whereas the single cabin version gets a 45 sq ft.